Home & Design Malls, bowling alleys and the places of our youth are disappearing. Where do we go for a nostalgic space? Malls, bowling alleys and the places of our youth are disappearing. Where do we go for a nostalgic space? 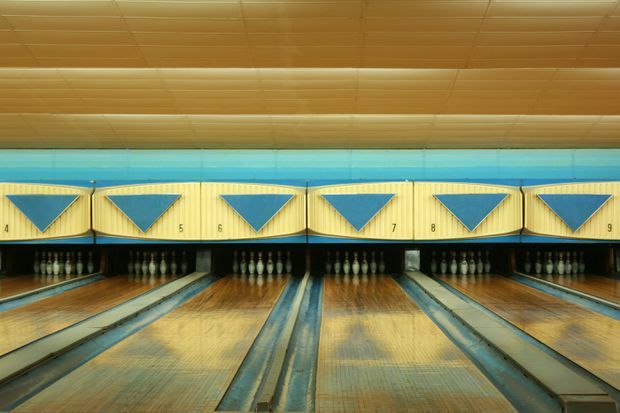 Bowling alleys are the kind of spaces that can trigger nostalgia through their design. Sometimes the simplest thing can quell what ails us. Ask any wellness aficionado and they’ll tell you that grounding – the act of putting your bare feet in grass – can help to “nourish your soul” by connecting you with the earth’s energy. It’s deemed essential in today’s hectic climate because the act can make you feel calmer (or at least less irritated), kind of like applying a soothing balm to something that’s internally aching. It might sound like New Age hooey, but the feel-good factor of immersion in a particular space is indeed real, and you don’t have to look further than the idea of nostalgia for proof. It’s likely not the Earth’s energy you’re feeling when you’re barefoot – it’s that you’re remembering a lazy summer day that brought you much joy. That cozy pang you feel upon experiencing a space, personal or public, that holds special significance in your life story is irreplaceable and unique. Perhaps it’s where you had your first kiss, or maybe it’s where more run-of-the-mill experiences, such as after-school activities or errand-running with a beloved parent, occurred. These spots hold the key not only to memories, but what those memories conjure – sensations of safety, comfort, camaraderie and connection to those you held near and dear – and they’re feelings that are sorely needed as we navigate through the seemingly endless “Sunday scaries” scenario our daily lives have become. From global warming to political disillusionment to ghosting, the stressors we regularly encounter could be assuaged by a barefoot walk in the park – but not in February in Canada, of course. Instead, maybe your mind could be set at ease with a jaunt to the local library you frequented as a kid, or a quick cup of coffee in a random, moribund strip mall. For that’s the beauty of nostalgia: It involves a confluence of triggers, from smells to sights, that can transmit the pleasant feelings you crave, even if there’s no direct personal attachment to the space itself. I discovered this after a final trip to Bathurst Bowlerama in Toronto, which opened in 1962 and closed last December. As my friends and I put on our deeply un-chic shoes in the familiar curved, coupled chairs someone remarked how comforting it was to be there. I had been thinking the same thing and it struck me as curious, since neither of us had grown up going to that particular bowling alley. We had each spent time in similar ones though, relics of suburban security and wholesomeness. The familiarity of the dismal lighting, rundown carpeting and un-designed snack bar was enough to engage the “reward system” of our brains, which regulates the positive sensations we experience during a nostalgic moment. Bathurst Bowlerama was suddenly every bowling alley we’d been to for a joyous birthday party or nerve-rackingly pleasurable teenaged date, except this time I was enjoying a rum and Coke instead of white sheet cake. 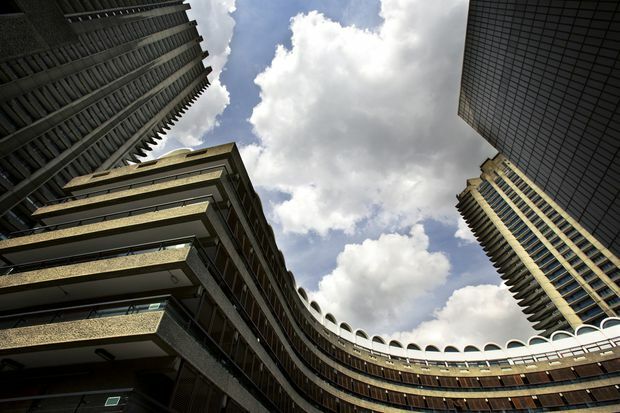 London's Brutalist Barbican Centre houses galleries, movie theatres and a performing-arts space. Nicola Ferrao, the operations manager at Superflux – a future-oriented design studio in London’s Somerset House – has encountered a similar revelation over the course of her time in the city, which she moved to from Toronto more than six years ago. When homesickness hits, Ferrao heads to the Barbican Centre, a stately example of Brutalist design that houses galleries, movie theatres and a performing-arts hall. “It was pretty immediate,” she says of how quickly remembrance of a childhood spent in Ontario was evoked in the Barbican’s retro-futuristic hallways. “The architecture and surfaces and textures reminded me very much of these seventies or eighties spaces – a lot of provincial spaces, libraries or [community centres].” In the Barbican’s nooks and crannies, Ferrao didn’t need to be a nine-year-old in Etobicoke to feel like one. This phenomenon is peculiar but common, akin to how a painter only needs their palette and a canvas to concretely represent an idea. Marcel Danesi, a professor of semiotics and linguistic anthropology at the University of Toronto, says, “Everything we do is connected to memoria, as Giambattista Vico, my favourite philosopher said. Memoria is not memory in the psychological sense – it’s our reconstruction of the past.” Similar to imagination, this notion demonstrates the power of sensory stimulation and recall, and how we only need a few items (a smell, a shape, a colour) to allow an entire picture and its subsequent emotional reaction to emerge. Danesi is the author of the recently published book Memes and the Future of Popular Culture, a work that explores how “meme culture” could bring about the end of pop culture – movie theatres, etc. – as we know it; he describes popular culture as “an experiment that may be coming to an end as we shift away from real spaces into virtual spaces.” If you think about what nostalgia means to a millennial, he’s on to something. Ferrao explains that the younger staff at Superflux have a twinge when it comes to older technology, much like she would catching a glimpse of shag carpeting or another symbol of a certain generation’s collective youth. Those even younger, under 20, might not even know how to ascribe a parallel set of emotions to a tangibly familiar place as to an evocative one, as Ferrao has done with the Barbican. Fortunately, a place such as the Barbican holds enough historical value to maintain its place in London’s landscape, so visitors can mustre whatever feelings they need to feel at peace. The seemingly unremarkable spaces Ferrao, Danesi and I take note of are humbler and less important, doomed by the wrecking ball of time to be replaced by a condo (or even worse, a space that emulates a nostalgic space for twee reminiscence without the personal investment). These spots won’t even be mourned in the same way kitschy Toronto department store Honest Ed’s was when it finally closed in 2016, after almost 70 years in business. It was a public exercise that was ultimately a meditation on the availability of where we can derive brief moments of nostalgic bliss, at a time when we need that sensation more than ever. Visit tgam.ca/newsletters to sign up for the weekly Style newsletter, your guide to fashion, design, entertaining, shopping and living well. And follow us on Instagram @globestyle.